Wormholes - Could Humans Use Them? For those of us who've been fascinated by Christopher Nolan's "Interstellar," one of the most interesting aspects have been the wormholes. Could humans use them to transport themselves from Point A to Point B? Co-Producer and chief science consultant Kip Thorne weighs in. Read the article linked above for more! Orion Launches in Two Weeks! T-Minus two weeks until Orion takes its first steps into space with the launch from Kennedy Space Center! The most recent developments include Orion being hoisted into place on top of the Delta IV heavy-lift rocket. And, today, Orion's batteries were installed, and engineers tested Orion's connections with the Tracking and Data Relay Satellite (TDRS) system. I will be at Johnson Space Center in Houston for the NASA Social event for the launch on December 3 and 4. I will post updates on my blog, Twitter and more! This video is my view as the Amtrak Southwest Chief left Chicago Union Station. The video is in high definition! There will be more to come from the trip. Stay tuned! If your heart skips a beat every time you hear Christopher Nolan or "Interstellar" mentioned, movie theater chain AMC has a deal for you! You can now get a single ticket that will let you see "Interstellar" as many times as you want. How 'bout that? So, if the first, second, third, etc. times weren't enough, now you can keep going back to latch onto every subtle (and not-so-subtle!) nuance. What do you think? Feel free to leave a comment! Orion Launch Event at Johnson Space Center! Yes! I have been selected to go to Johnson Space Center on December 3 & 4 for the briefing and viewing of the historic Orion Spacecraft Exploration Flight Test-1 launch. The program is being put on by NASA Social, who partners NASA with Social Media users like me! On December 3, our group will get a tour of JSC, including the current and historic Mission Controls. JSC is where our astronauts train for their missions, including the Neutral Buoyancy Pool you might have seen in movies like "Armageddon." There, astronauts get to experience weightless simulation in the pool, with full mock-ups of the Space Station components they work on while on EVA's. Not as much seen are the full-scale mock-ups of NASA hardware like parts of the International Space Station. And, great for us attendees, a full-scale mock-up of the Orion Spacecraft. That should be especially cool! Another great benefit is that we will get to talk to Orion engineers, managers and also NASA astronauts! I am hoping to get lots of great information, and pass it along to you via photos, videos, and blog posts and tweets. Three weeks to go! Stay tuned. Non-Stop Rosetta Coverage on NOW! ESA TV will be on non-stop from now until the Philae lander has transmitted photos back from the surface of Comet 67P/Churyumov-Gerasimenko. There are several steps to accomplish. Rosetta will release Philae at 3:35 a.m. EST (0835 GMT). Rosetta will receive status from Philae at 5:53 a.m. EST (1053 GMT). ESA will know if the landing was successful by 11:00 a.m. EST (1600 GMT), tomorrow November 12. Best Star Wars Lego Sets! If you love "Star Wars" and you love LEGO's, this article is for you! The five best Star Wars LEGO sets ever! The Hunger Games: Mockingjay - Part 1 First Review! Variety has the first review of "The Hunger Games: Mockingjay - Part 1." The movie takes Suzanne Collins's last novel of the series and splits it in two, like was done at the end of "Harry Potter" and "Twilight." Here, it sounds like the director and screenwriters work hard to avoid the anti-climatic nature of splitting the last story in two. Shortly, NASA will be discussing the scientific findings made when Comet Siding Spring came within 87,000 miles of Mars on October 19. Instruments from three craft in Mars orbit, MAVEN, MRO and ESA's Mars Express all contributed data. Five experts will be on hand to discuss what they found. NASA has taken to many Social Media platforms to tell people about the Orion Spacecraft Program. Yesterday, they used a Reddit AMA to do it. AMA's are subreddits where people can "Ask Me Anything." Nine Orion experts made themselves available to answer user's questions. The AMA is complete, and you can read through the many questions and answers that were asked. The event was very popular, and I am sure there will be more! 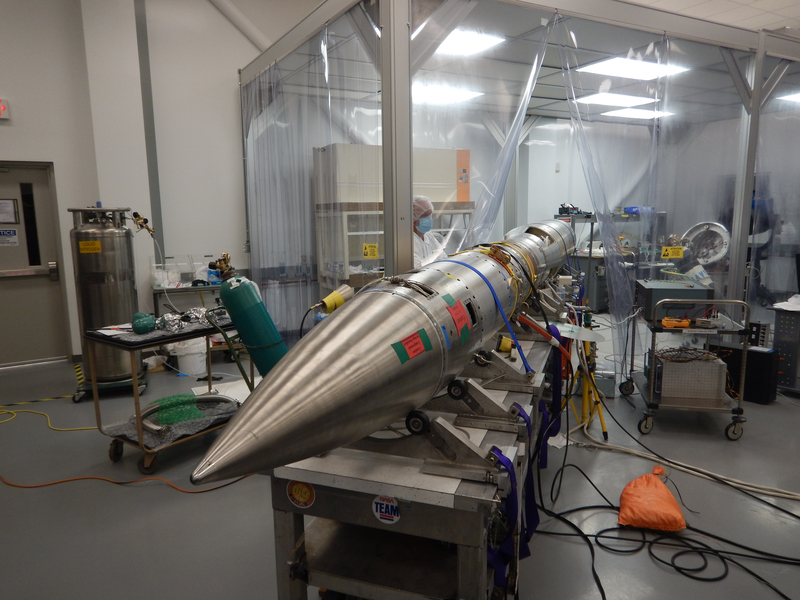 Today at 2 p.m. EST / 1 p.m. CST, NASA will be holding a Press Conference regarding its Sounding Rockets program, and its latest results. The rockets have been launching for 40 years now. They are able to carry scientific instruments into space for 5-20 minutes, then return to Earth. This allows enough time to conduct the experiments at hand. The program has been very cost effective, since the rockets take a simple parabolic trajectory, avoiding the advanced systems needed to go into space for an extended period and come back. Pretty interesting stuff! If you haven't done a Google+ Hangout, this is the day to do one! "Interstellar" is having one today at 5:30 p.m. EST / 4:30 p.m. CST. It is being done live from Smithsonian's Air and Space Museum. The cast of the film, including Matthew McConaughey, Jessica Chastain and Anne Hathaway, will be taking questions from online participants. You can go to the Hangout page and submit your question now. Questions will be taken from those submitted online. Labels: Christopher Nolan, film, films, Google+, Hangout, Interstellar, movie, movies, new releases, Nolan, Paramount, Paramount Pictures, science, science fiction, space, Warner Bros.
NASA/JPL's Cassini mission has released a mosaic image that shows sunlight reflecting off of Titan's north-pole seas. The seas are made of methane and ethane liquid. The mosaic was taken on August 21st. Full details are available in JPL's article! 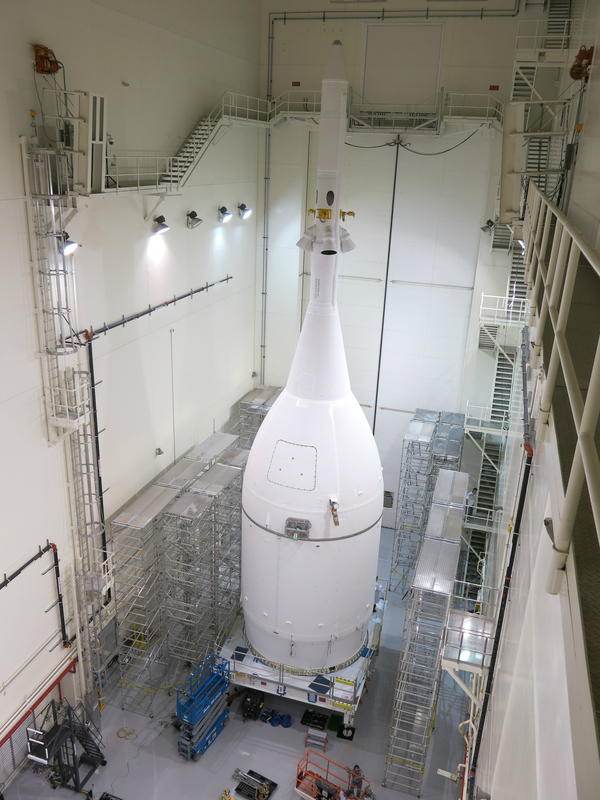 NASA's first Orion spacecraft is complete! On October 30, the final touches to the craft were completed at Kennedy Space Center in Florida. On November 10, Orion will be rolled out to Launch Complex 37. The launch takes place on December 4. Media have been invited to attend an event detailing the December launch. This will happen this Thursday, November 6 at 11 a.m. EST. The Press Conference will be broadcast live on NASA TV.